Budget 2016 had a nasty surprise for all the salaried class. In his Budget speech Finance Minister said that in order to give level playing field to pension products, the 60% corpus at maturity (for both NPS & EPF) would be taxed according to individual tax slab. This rule was good news for NPS subscribers but came as unexpected blow to the EPS subscribers. To add to the pain – No one was sure of how and what of this new taxation, including the Ministers themselves. With all the confusion around, Jayant Sinha further confused people saying if the 60% EPF corpus is invested in annuity – it becomes tax free! On further probing finally he tweeted “Full clarification with FAQ would be issued shortly”. Today again the Revenue Secretary confused further when he said that only interest earned on EPF after April 1, 2016 would be taxable. You can read more about the confusion here. With the entire circus going, finally a clarification has been issued by Ministry of Finance which you can read here. 1. 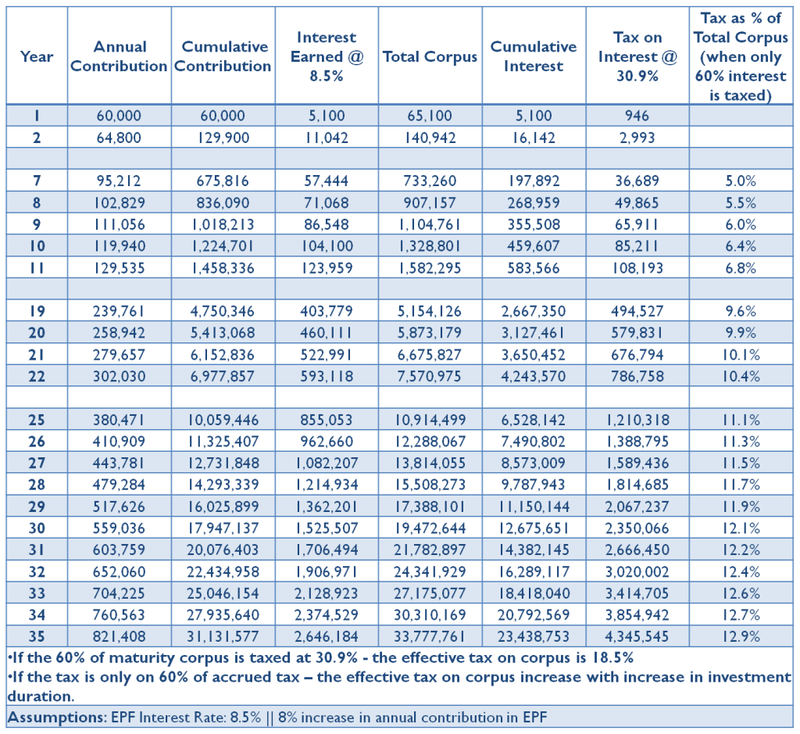 The idea of taxing EPF corpus is to give level playing field with NPS. 5. There is no change for people earning Rs 15,000 per month. As per government out of 3.7 crore EPF subscriber 3 crore subscribers fall in this category. Though I do not understand the Rs 15,000 limit rule – is the 15,000 salary limit as of today or at the time of withdrawing! And if it is as of today’s salary level how anyone would prove it at the time of withdrawal. More clarification awaited in this regard! 6. Until now the contribution from employer was at 12% of basic & dearness allowance and was tax free. Now if the employer contributes more than Rs 1.5 lakh per annum or more than 12%, it would be considered income on employee and taxed accordingly. 7. There is no change in taxation on PPF. So it remains tax free. The limit of 1.5 lakhs for employer contribution should be done away with as it’s not there in NPS. Personally I think finance minister would agree to the first point but leave the second as it is mainly as it impacts very high salary earners. At 12% employer contribution to reach 1.5 lakhs, the basic salary & the dearness allowance should be more than Rs 1 lakh. This means the total monthly salary would be Rs 2 lakhs. As the present government wants to tax anyone who is well to do – it might not roll back this. Even if the finance minister agrees to tax only the gains rather than the entire corpus it’s just going to soften the blow as the calculation below shows. We have assumed a person started contribution to the EPF at the age of 25 years and would continue to do so for 35 years till his retirement at the age of 60 years. Also his contribution increases 8% year on year. The EPF interest rate has been assumed to be 8.5% payable annually. He would have to pay 12.9% as effective tax on maturity corpus if only 60% on interest accrued is taxed vs 18.5% if the 60% of entire corpus is taxed! The table below gives the effective tax rate if the tax is calculated on accumulated gains @ 30.9%. The change in EPF taxation would have far reaching impact. One the government always says they want a predictable tax regime but then with such actions, it does not hold true. 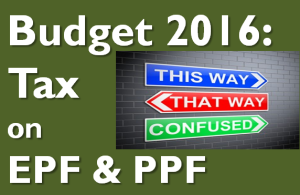 How do you know if PPF would not be taxable from next year? The second issue is the lack of social security in India and people have to take care of their retirement needs on their own. In this scenario taxing the retirement corpus is tragic. The third issue is government thinks it knows best investment avenue for retired people – which is annuity. Unfortunately annuity gives poor return and is not an efficient investment avenue. The fourth issue is EPF is compulsory and if you keep on changing tax norms, you should also give a way to exit. But government being government does not think so. The fifth issue is taxing entire contribution in one go – now you might not have been in the highest tax bracket all through your earning life but at the time of retirement you would be! Every government has churned out the salaried tax payers as they are easy target. There has been no innovation to catch the actual offenders. Personally I think its regressive move and if the intention was to tax higher income they could have done that directly.